Whether it’s the Aventador’s unapologetic roar or the Huracan’s lack of modesty when it comes to flashiness, Lamborghinis always have a way of stopping you in your tracks to gawk. 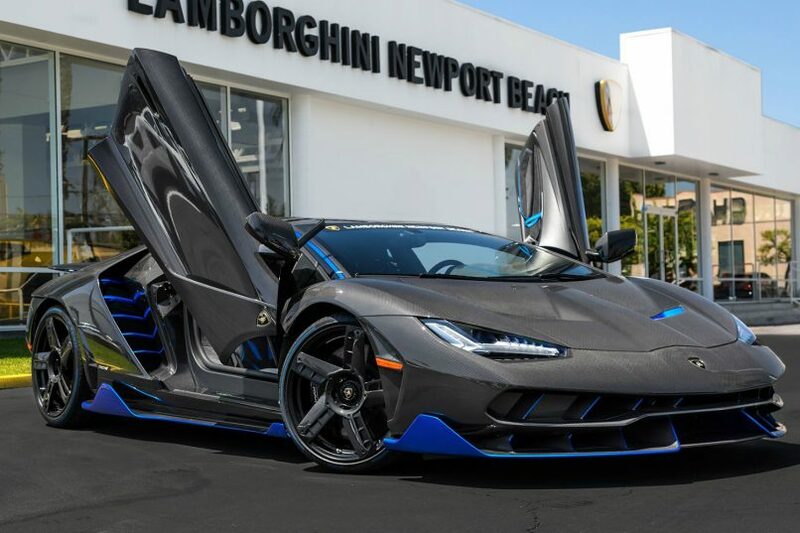 However, for some truly show-stopping automobile insanity, the Lamborghini Centenario is your best bet, and you’ll finally be able to see it in the flesh. 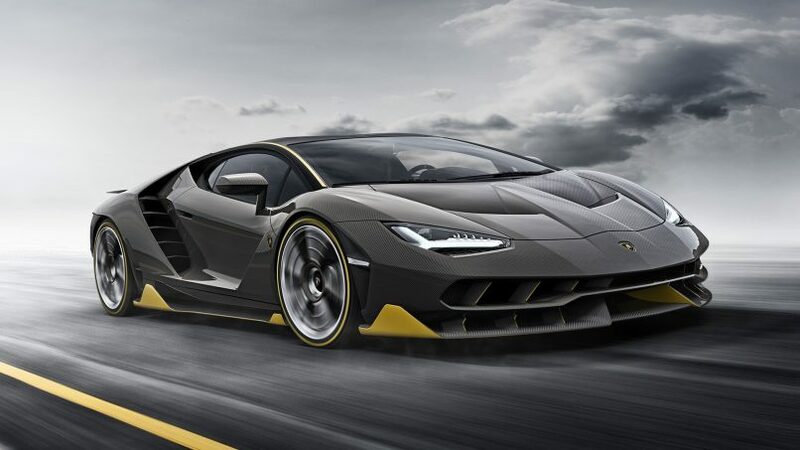 A rendering of the Lamborghini Centenario, a limited edition of only 40 examples worldwide. You see, Lamborghinis are a very special and rare breed of cars, usually at the top of what people would consider exotics. 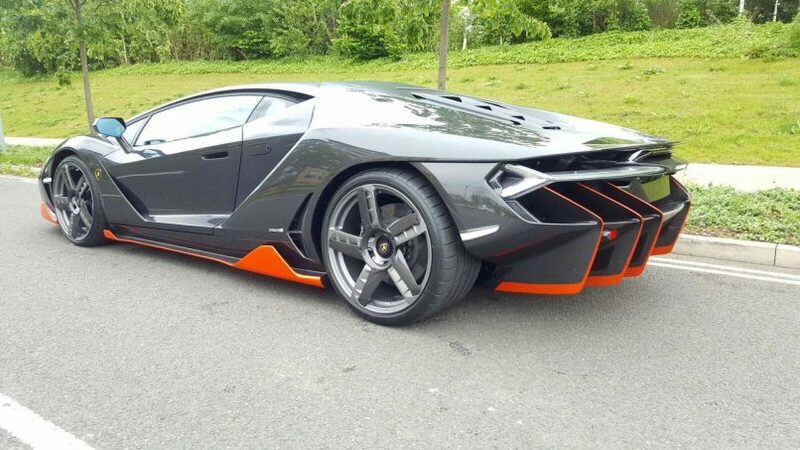 The Centenario is an even rarer version of the flagship Aventador model, and with only 40 examples being produced — 20 coupes and 20 roadsters — you’d have to be ridiculously lucky to have one pull up next to you on the roads. Looking impeccably chiselled with an exposed carbon fibre body with Blue Nethens accents, courtesy of the Ad Personam program. Now, two of the 20 coupes have rolled out of the Sant’Agata production line, and needless to say, they look spectacular. 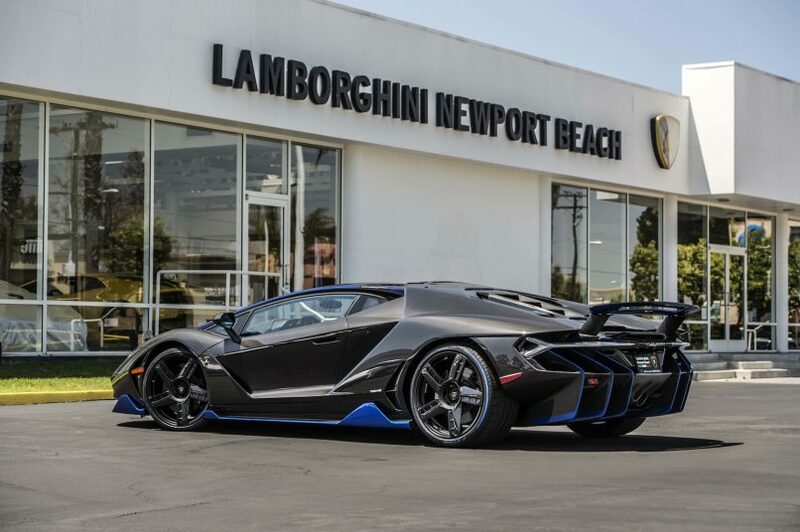 Unboxed at the Lamborghini Newport Beach dealership, the first US delivery saw the beast in an exposed carbon fibre body with Blue Nethens accents in the intakes, adjustable rear spoiler and lower aero body work. 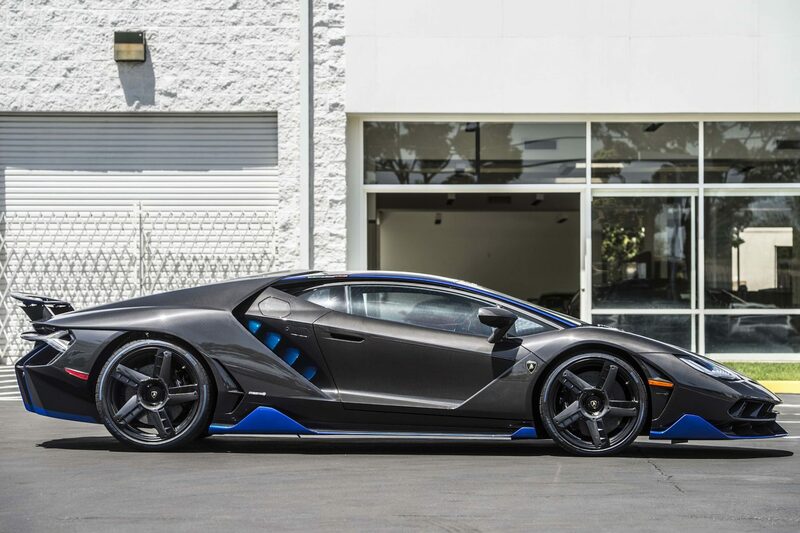 Lamborghini will hand over the keys to the first US customer of this bespoke Centenario. The theme continues within, extending to the carbon fibre seats, console and stitching. 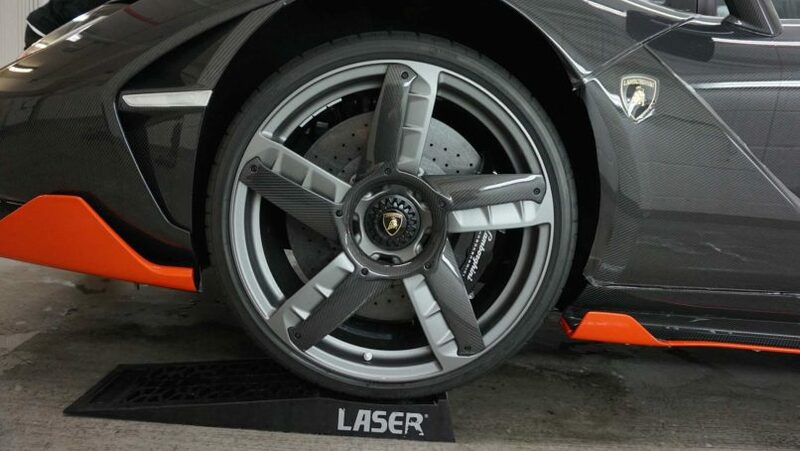 This will be the only car of its kind, because it was customised via the Ad Personam program. Move aside, McLarens and Ferraris, UK’s first Centenario will soon grace the roads of London. 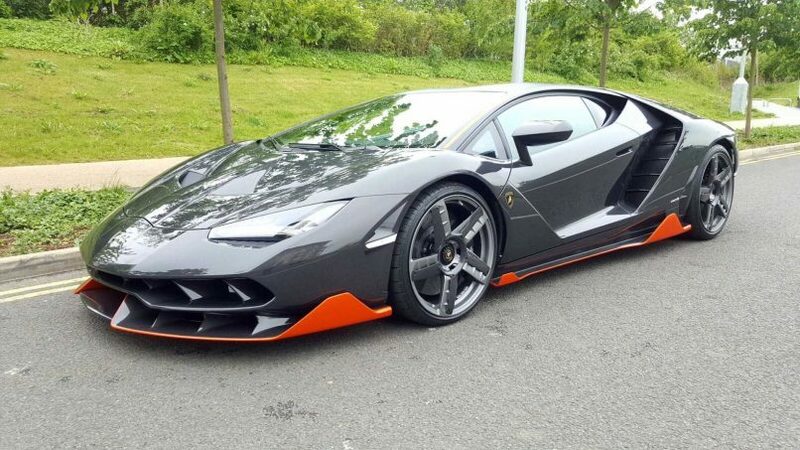 The UK’s first Centenario will see a bare carbon fibre exterior with orange accents, and is the only example with the exclusive finish thus far. Delivered to South Kensington, the car’s commissioned by leading luxury group HR Owen and will go on display over the Bank Holiday Weekend at the London dealership. Head over to the London dealership this weekend for a first (and possibly only) glimpse of the Centenario. All 40 of these cars have already been sold, but for prices starting from S$2.63 million, you’ll get a hulking 6.5-litre naturally aspirated V12 engine that powers 770hp and acceleration speeds to 100kph in about 2.7 seconds. Like the US version, this version is fully customised too. Named so to commemorate Ferrucio Lamborghini’s 100th birthday if he was still alive, the radical spacecraft-esque machine will reach top speeds of “beyond 349kph”. So really, the only way to see them might be to catch them on display.